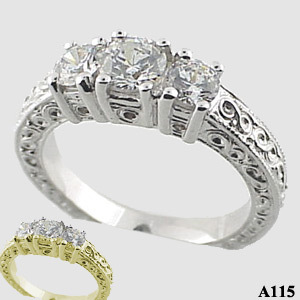 Stock #A115SS:New, exclusive 3 stone antique ring. Featuring a 1/2 ct center stone and 1/4 ct side stones. .925 Sterling Silver.